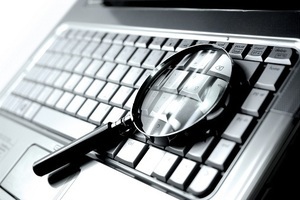 You may not believe it, but SEO is more than just backlinks and keywords. There are many other ranking factors that search engines look at, some are very well known, but things like hosting are less talked about. 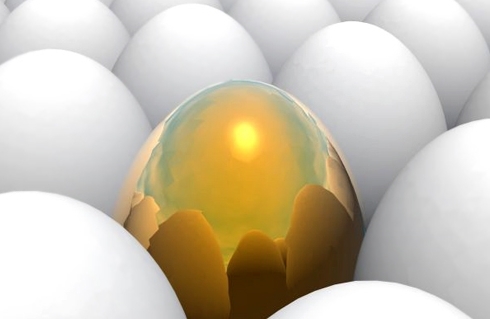 Your host can have a dramatic effect on your search engine rankings. This is usually due to loading speeds, but there's more to it than that. Here are just a few reasons why you need the best host if you want to gain more traffic. As stated above, your rankings will usually suffer due to poor loading speeds. The indirect effect is that you might have a harder time getting links and visitors. Think about this for a moment. You visit two websites that are strikingly similar. The only major difference is that one of them loads slowly. Will you give a link to this website, even though it's a little inconvenient to use? Some people might feel reluctant about linking to your website or recommending it to others if it loads very slowly. Very bad loading speeds might also cause people to think that your website isn't working, which deceases your number of potential customers and readers. Google's search engine spiders are constantly crawling websites to see what has changed about them and indexing new pages. Google uses over 200 ranking factors for ranking a website. While the main ones are backlinks, relevancy and keyword usage, loading speed is another factor that will determine your rankings. If the spiders tell Google that your website is very slow, then your ranking might be lower than expected. This makes sense when you consider what Google is looking for. Google doesn't just want to connect people to relevant websites, they want to connect people to websites that have the best user experience. People hate going to slow, spammy websites, so Google does its best to ignore these pages. Site speed might just be one tiny factor, but this one factor can definitely hurt you. Consider switching to a faster host to improve your rankings. This problem usually only affects the riskiest and cheapest Web hosts, but it can potentially happen regardless of how safe your host seems. People are always creating scam sites to make some quick money, but these sites are usually de-indexed after a while and they won't be seen in the major search engines. So, how does that affect you? Under certain circumstances you might seem guilty by association if your site is on the same IP address. For example, let's say that all of the websites on your server are spammy. Google will obviously block the IP address linked to that server. That means that each and every website will suffer the same cruel fate whether it's deserved or not. This is a rare problem, but it does exists. You see this often in the SEO hosting industry. SEO hosting is a type of hosting where you can get lots of IP addresses and put them all in the same cPanel all with the sole purpose of gaming the search engines. Google obviously doesn't like this type of hosting. An international server is great if you are doing international SEO, but it's not so great if your website is targeting domestic customers, and vice versa. Not only does server location impact loading speeds, but it also counts as another factor that Google considers when ranking websites. A server in your own country, or the country that you are targeting, will increase your rankings. If the server is somewhere else, then your rankings will suffer. Most hosts guarantee at least 99% uptime, which is good. However, some hosts cannot keep this promise and the uptime falls to 95% or less. This means that your website will be down and inaccessible for the time being. If the search engine spiders cannot access your website, then this can significantly impact your rankings because, once again, Google cares about the user experience. Nothing is worse for the user experience than a website that won't load whatsoever. You need to make sure you're getting an uptime between 99.9% to 99.99%. Keep in mind that a 99.9% uptime means that your site could be down for up to 40 minutes per month. 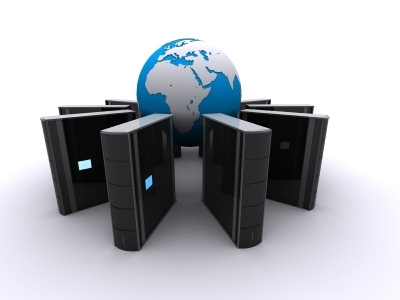 Web hosting can directly and indirectly affect your ranking if you choose the wrong host. Not only will people be unwilling to link to you if your host is bad, but Google will decrease your rankings because your website is slow and inaccessible. Be sure to choose a good host so that you don't have to worry about these problems. Until my next post on Monday on keeping your pages afloat by using Google's disavow tool, have a wonderful and relaxing weekend! We once again witness a significant change in how the digital marketing game is being played, thanks to the fast-growing popularity of webinars. Webinars work as online workshops or conferences that aim to educate its participants on a specific topic by providing helpful information through slides or live video streaming. The best thing about it is that it allows the audience to interact by raising concerns or asking questions, usually through a chatbox provided. It's simply like attending a seminar at the comfort of your own home or office. People sign up for your webinar with their e-mail address. This gives you an opportunity to collect contacts that you can use for marketing services in the future. With this, you can create a mailing list which you can easily refer to in sending out invitations when you want to host a webinar again or email campaigns and newsletters about your product or service. Not dishing out a lot of cash to host a webinar is a good thing, but what's even better is how it can actually help your business generate income. While some webinars are free and open to the public, the idea of paid webinars is not at all new. You can always opt to charge attendees if you're confident the session will be well worth it. Likewise, you can record the whole webinar and sell it as a product that people can listen to whenever they want to. Webinars can result to good customer retention and loyalty. Hosting one gives them an impression that you are willing to help them be educated with what your product is about, and other related topics that can be useful to them. Come up with a compelling topic and make sure to provide a good program where audience can also ask questions and get answers, just like in any real seminar. Webinars are not only for your audience. Try to look at it in a way that will help internally or build relationship among your employees. Schedule a quick webinar at a convenient time, preferably during lunch break. Make sure that the tone of the session is more casual than stern so they can comfortably pitch in ideas or raise concerns in the chat box. You can set an agenda for the webinar, but be also prepared for questions and issues that will be raised even if it's beyond the given topic. Another way for employees to benefit from a webinar is through using it as a training tool. Despite the presence of technology and all the wonders it brings, a company's best asset and secret weapon will always be its brain and manpower. Thus, it is always wise to constantly upgrade your team's skill to have better productivity and efficiency. This can be achieved through training and seminars. However, flying in an expert or an employee from another branch can be costly, with the plane ticket, accommodation, and other logistics. Webinars can help you skip on these expenses because you don't need to fly in anybody at all. You can choose to hire a proficient speaker or you can simply have slides prepared for the whole training. About The Author: Amanda Smith is a blogger based in San Diego, California. She loves writing about technology and gadgets, health and wellness, fashion and interior design, and just about anything that tickles her fancy. When she's not writing, she's busy video conferencing with her nieces in London or is trying to catch up on her favorite sitcoms with her yellow Labrador, Chandler Tribbiani. You can catch more of her works at wordbaristas.com. Did you find this article helpful? Does your business host webinars? Please let Amanda and myself know by leaving us your valued comments. Until my next post on Friday on why web hosting is important to your SEO, enjoy the rest of the week! Social Media has proven to be the stomping grounds for bountiful, data savvy and targetable consumers. This makes it a very attractive market to all forms of business. Because of the potential that lays in social media, companies often jump into the arena before they're ready, or even if they're not really fit to be there. It's always important to keep your brand reputation in mind in any marketing venture you take, so don't forget about it when going social! While reputation is incredibly important, determining some sort of ROI on your marketing investments is essential (read The Top 5 Reasons To Budget For SEM for reference here). Follow this guide and you should be on your way to a successful social investment! Ask yourself some key questions before committing too many resources into a social endeavor. Figure out your goals for social media (likes, engagement, re-tweets, shares, offer claims, etc.). Can you commit the time and money to maintain a social media presence? Do you have a loyal customer following? Is your brand or product inherently social? Are people looking for you on social media? And do you have the technical abilities for social development (including design and development)? Understand where you can excel is important, if your brand fits the mould for a social campaign but you don't have the expertise or time to commit, outsource those hours to a professional who can help you create a successful campaign. Outline a clear strategy. Going into this process with a clear set of goals, expectations, and requirements will help keep you on track for social success. Make sure you delegate tasks and roles to people who can commit the time necessary for research, implementation, and most importantly, social monitoring. The biggest part of social media is the real time changes that occur. If you're not monitoring the social chatter, you will likely miss out on trending topics or social opportunities for your brand. There are plenty of free and paid tools out there that can help you "hear" what's going on out there (I recommend using Hootsuite). Measure your results. Set up monthly or bi-weekly meetings to review the success of your campaign. Are you meeting the goals you've set? Measuring success is important so that you can effectively allocate your business resources. If you've run into a lot of problems, don't see a lot of response, or don't have the time to fully commit, it's important to know when to cut your losses. Similarly, if you can measure areas of success you can push the envelope and take your brand/product to the top of its category. Social media campaigns can be measured by social authority. The higher the importance and value of your social presence, the greater authority you will have. This is particularly important in terms of Search Engine Optimization and helping keep your website relevant. If you're unsure of your social authority or are looking for more resources on this, free tools such as Klout help estimate your general social authority. About The Author: Sydney Hadden is a Digital Marketing Manager and contributing writer for Londes.com, a PPC and digital media marketing organization. Sydney's speciality is in paid search digital media. Did you find this article helpful? Please let Sydney and myself know by leaving us your valued comments. Until my next post on Monday on why quality over quantity is better in SEO, have a relaxing and fun-filled weekend! Often, an entrepreneur will have a great product but will have difficulty making a lot of money. When running a company, one must understand how to increase their efficiency of operations. When doing so, the business can get to the next level and begin generating profit. Furthermore, with the business environment so competitive and the economy performing poorly, it is more pertinent than ever to cut costs and increase revenue. 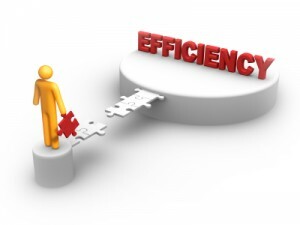 Here are four tips on how to increase efficiency and profitability in a business. When using technology and the Internet, one can outsource some simple tasks. When hiring a contractor, the employees can concentrate on essential tasks that bring revenue to the business. Fortunately, there are plenty of resources on the Internet to find a virtual administrative assistant. Ideally, when hiring an assistant, the company should give the contractor a trial run. When doing so, both the contractor and employer can decide if there is a good fit. 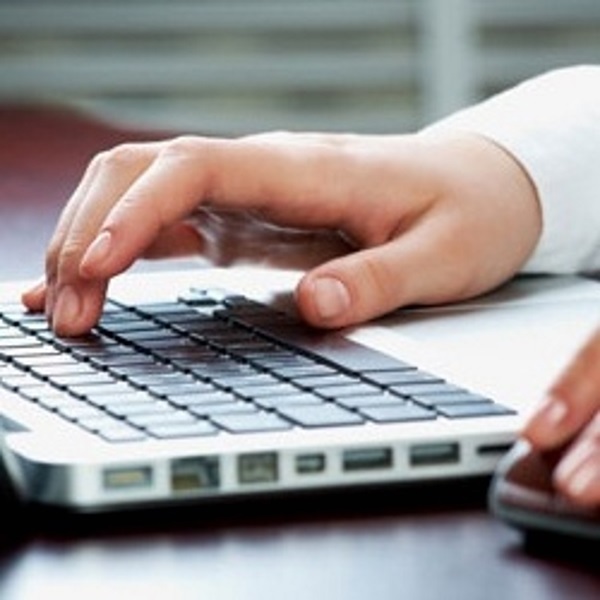 Without a doubt, a company that wants to grow must use a virtual assistant. A company should host all their files on the Internet. When putting files on the cloud, employees and contractors alike can access data from anywhere in the world. While it is important to have easy access to files, a business owner must choose a solid and reliable company. To find a reliable file host, ask for references from other entrepreneurs. Remember, people work from all over the world, and it is crucial for employees and contractors to have access to the same data at the same time. Most companies have a Web presence. While this is true, some businesses do not take advantage of their website enough. The easiest way to improve a website is to track the habits of visitors to the site. When using Google Analytics, the webmaster can understand where visitors are coming from, what they click on, and what causes them to leave. One must realize, to improve efficiency, it is crucial to understand the mindset of users. Employees should have flexibility when it comes to working hours. Numerous studies have shown that employees are more efficient when they work hours that they choose and that are best for them. Remember, some people work much more efficiently in the morning while night owls prefer to start later in the day and work at night. There is a side benefit to allowing employees to choose their own hours; an organization will have an easier time recruiting workers when they allow workers flexibility in their shifts and they can appeal to a global market. An entrepreneur who understands the importance of efficiency will succeed. Luckily, a business owner should have an easy time following these four tips. When followed, you'll be much more productive and profitable. One must remember that the difference between a profitable business and a failing business comes down purely to efficiency. Until my next post on Friday with steps to taking your brand social, enjoy the rest of the week! Whether you are adding affiliate links to an existing website or you are planning on building a website based around an affiliate program, affiliate marketing is an easy way to monetize your website. This electronic cigarette review website earns a commission for each sale that is sent to each individual e-cigarette company. Read below to find out how you can take advantage of affiliate programs and earn more money on your website. With the increase in social media platforms over the recent years, it has been more complicated to establish a presence and maintain a network on every one, but it does make it easy to get your website in front of people. Start with the most common social media platforms. I would recommend Facebook, Google+, Twitter and Pinterest as a good place to start. The people in your network are your fans as well as the customers who will make you money from the affiliate program. Whatever your site is about, it is important to keep the content tailored to your readers' interests. This will not only keep them coming back for more information, but they will also be more likely to share things with their friends who have similar interests. This allows your network to keep growing and once you have started, it is important to keep the momentum going. The content on your website is what is going to be shared by your readers and others will only be interested if they see your site producing content that is of high quality. The quality of your website will greatly affect your ability to be successful. Also, your website does not have to be designed by an expert for it to be of high quality. A quality website will be one that uses a clean layout, is easy to navigate and can have specific information found easily by your readers. Along with those things, it is important to make sure that your website converts traffic into sales. Affiliate programs use links on your website to track where a customer comes from so that you can receive commission on the sale. The placement of your affiliate links is another large factor in the success of your website. Every website is going to have a different purpose and there is no right or wrong spot to place affiliate links. You want the affiliate links to be in areas where your readers will click. Many affiliate programs offer their affiliates banners and other types of links that may work better for you. For example, if you do not want a random link on a certain page, you may opt to put a banner for your affiliate program in the sidebar. This way the reader is not distracted and turned off by your site because they are overwhelmed with links and advertisements that take away from the purpose of the website. Your readers are an important part to your success and you will need to keep them happy to see continued success. Again, one well placed link will be more beneficial than multiple links that take away from what made the website popular in the first place. Like a website plastered with advertisements, a site with a large amount of affiliate links might come off as "spammy" and distract readers from your content. You need to balance the amount of affiliate links between having enough that they will be clicked and not cluttering the pages on your website. So now your website is set up with affiliate links and conversions are starting to come in. Now the next step is to promote your website further and continue to build your network to gain more readers. There are multiple ways to promote your website. Hopefully, you are producing excellent content and your readers are sharing it with others. This will give you more exposure without doing any more work and your site will gain new fans organically. People who do not have any friends sharing your content are still potential customers and need a way to find your website. This is where Search Engine Optimization (SEO) comes into play and will be an integral part to growing your business. With effective SEO, targeted keywords will result in your website being ranked higher on the major search engines. Using the e-cigarette website above as an example, "e-cigarette reviews" is a keyword that I would like my website to be ranked for. This will allow people who are looking for certain information to find the things they are looking for on my website. By having an effectively optimized website, your business will be more likely to grow as new people will consistently be finding your website. Different websites are built for different reasons and the promotion and marketing should reflect that. While every website needs to be optimized to rank well in search engines, there are other ways in which you can promote your website. 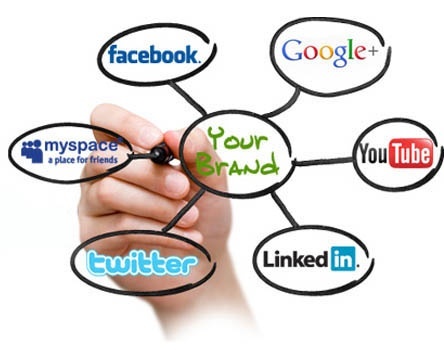 The different social media platforms will also be an effective way to promote your website. The different social media networks each give different advantages and it is up to you to choose what to put your time into. A website selling art may be better off using Pinterest because they can show pictures of the art they are selling and have other people see it more than on something like Twitter. While this may work for an art website, a mostly content based website may benefit more from using Twitter and tweeting new posts and articles because images are not a main focus of the website. The marketing of your website is important to keep your business going. This needs to be done through changing the way your pages are set up to rank higher in search engines, as well as in different areas of the Internet and other mediums. Again, having people share your content on their own is also important. Finding what is working most effectively will allow you to know where you need to put your efforts. Using different analytic tools will further enhance your ability to market your website. Your website has now been operating for some time now. You have exhausted your initial marketing strategies and are continuing to provide your readers with quality content. Many people in this stage find themselves lost and do not know where to go next to continue growing their business. The next step to the process is finding out what is effective and how you can refine your marketing strategy to make your site operate more efficiently. This can be done by analyzing data and how users interact with your website through the use of different analytic tools. Free analytics software such as Google Analytics and Google Webmaster Tools should be set up in the beginning when building your site. While these tools are set up from the start, it will take some time for them to collect useful data from your website. If your site has been operating with the analytics tools mentioned above, you will eventually see how users are interacting with your site along with all of the links to your website on other sites. Keywords that your website comes up for will be available for you to view. This will help when adding new content to your websites and allow you to know which keywords to target depending on your strategy. Once you are in this part of the process it is up to you how you use the data available. Different websites' goals will depend on the importance of different data. By looking at how your users are interacting with your site can provide you with valuable information to further enhance your success. About The Author: Greg Grinillo is a blogger and entrepreneur from Seattle, WA, with great experience in online marketing. Did you find this article helpful? Please let Greg and myself know by leaving us your valued comments. Until my next post on Monday on how social media has changed the way businesses recruit, have a fabulous weekend! After a considerable amount of pressure from campaigners and advertisers, Facebook has finally admitted it will reassess how it reacts to "controversial, harmful and hateful" content that is posted on the social networking site. In an open letter, several feminist groups called upon Mark Zuckerberg and his company to do more to ban pages that they claim promoted violence, particularly towards women. Although it reacted to this letter in just over a week, several commentators have argued that Facebook may have already suffered irreparable damage to its reputation. The Everyday Sexism Project has utilised social media - particularly Twitter - to highlight instances of what it deems as casual sexism, both in the media and the wider public domain. It was one of several groups that called on advertisers to boycott Facebook, informing several major companies that their ads were appearing alongside pages containing images of violence towards women that were "shared, boasted and joked about". One petition demanding the social network remove such pages obtained more than 225,000 signatures. Yet, it was created in September 2011, which serves to show how long these pages have been permitted to exist on the site. However, the company's admission in a blog post dated May 28th 2013 that "we need to do better - and we will" has been welcomed by the campaign groups. Marne Levine, vice president of global public policy at Facebook, stated: "In some cases, content is not being removed as quickly as we want. In other cases, content that should be removed has not been or has been evaluated using outdated criteria." "We have been working over the past several months to improve our systems to respond to reports of violations, but the guidelines used by these systems have failed to capture all the content that violates our standards," she added. Following the controversy, Ms Levine pledged that the company will now consult both lawyers and interest groups as it looks to update its guidelines, with particular reference to how to deal with hate speech. In addition, staff training is to be improved, with employees set to receive specialist coaching where appropriate. Facebook also insisted that it will do more to ensure posters of offensive material can be held accountable, forcing them to "stand behind the content they create". Despite the positives, a large number of users criticised the length of time it took for the social network to take action, with many suggesting it has only chosen to do so since advertisers began to cancel their contracts as a result. In recent months, Facebook has become embroiled in a number of arguments regarding content on its site. At the beginning of May it was forced to go back on its original decision not to remove a video that showed a beheading. It had first argued that the clip was not in breach of its policies. A survey in March revealed that 87 per cent of people who reported they had experienced cyber-bullying said that it occurred on Facebook. In an effort to limit the number of people who are experiencing bullying at work or school through the social network, the site as said it will take a zero tolerance stance. It launched a Be Bold Stop Bullying campaign in Australia and Canada in late 2012, but is yet to reveal how it plans to prevent what is clearly a global phenomenon. Some of the site's staff are expected to face investigations in the coming weeks after it was revealed that a 14-year-old girl committed suicide in Italy after a video of her was posted on the site and shared among users. In what is a European first, the Italian Parent's Association has filed a criminal complaint against Facebook. About The Author: This is a guest post from Chris Stevenson, marketing manager at Slater Gordon. Do you think Facebook acted too late and if so, has its reputation suffered as a result? Did the cancelling of advertising contracts cause Facebook to finally take action? Please let me know by leaving me your valued comments. 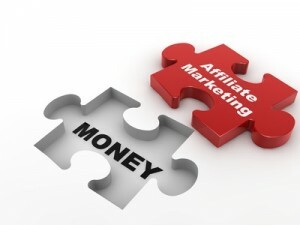 Until my next post on Friday with a guide to affiliate marketing, enjoy the rest of the week! 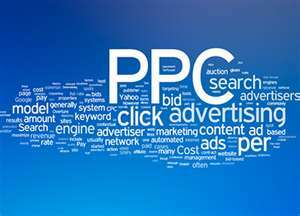 There is much more to establishing an effective pay-per-click (PPC) campaign than choosing target keywords. To get the most out of your PPC campaign, you must define a budget that makes sense and then use those available resources in the most productive way. The most important step that the business can take is knowing precisely what its expectations are. Ideally, the business should be able to quantify the expectations in terms of actual sales or a similar metric. If the keyword is "business consulting", then determine how many additional consultations the business plans to achieve by running this PPC campaign. Too many businesses approach this endeavor in an abstract fashion, but in doing so, there's a tendency to waste resources and be unable to refine future efforts. The challenge of creating a proper budget for a PPC campaign is that there is a chicken-and-egg scenario: The business requires information that it doesn't have yet. There are Web-based tools available that will help guesstimate these values based on various parameters. Rather than use those guestimates, however, run a small test campaign based on them. Consider the test campaign a cost of doing business, and the information from it can seed a proper budget. The next step is to assess the conversion rate of the keywords and key phrases that the business intends to use for the PPC campaign. The conversion rate indicates the number of click-throughs required, on average, to convert a sale. For instance, if the conversion rate for search engine referrals on the primary keyword is four percent, then 25 clicks are necessary to convert a single success. Once the business knows the conversion rate, then it can determine the maximum cost per click. How much is the business willing to pay for each success? Consider a scenario where the sales department has determined that it can afford to pay $10 per conversion. The marketing team, however, is paying on a per-click basic. Since it knows that it takes 25 clicks, on average, to convert a sale, then it cannot pay more than 40 cents per click. Based on the information the business now has, it can determine the profitability of each keyword and key phrase that it intends to use. At this point, it may determine that some keys are not profitable enough, while others receive greater emphasis. There may be other factors in play here than just the bottom line, such as reaching different niches and channels. The business now has all the information it needs to set the budget. Imagine that the ad provider has offered a rate of 38 cents, which is below the target rate. The sales manager indicates that he wants to achieve 1,000 additional sales through this campaign. Therefore, the marketing department requires 25,000 clicks, which will require $9,500. If the campaign will use multiple keys, then it will be necessary to itemize the budget based on the desired emphasis. If the allowed budget is less than the necessary budget, then the marketing team can use the difference and the above information as a guide for where to make the cuts. This has been a guest post from Naked Business Consulting, who have been putting every cent of their PPC budget to good use! Until my next post on Wednesday, have a great week ahead! Transparency is a buzzword that has been kicking around in recent times in the business arena and with good reason too. Business transparency is something that every organisation should get to grips with if it wants to withhold a good reputation and successful operation. Here's more on the importance of business transparency. What is business transparency all about? This much-talked-about business buzzword is all about how open an organisation is with its customers and its employees. 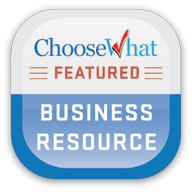 Transparency means allowing a free flow of information about how you run your business. 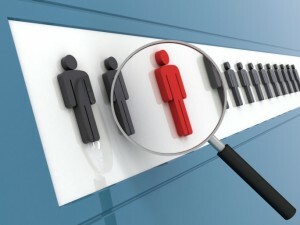 Being transparent has become increasingly important, as it can affect many aspects of how an organisation is perceived. If a firm is viewed as hiding information away from its customers or staff or misrepresenting the truth about its operations, it can escalate into a damaging corporate scandal, causing mistrust and crushing a business's reputation in one foul swoop. Transparency isn't just about making sure your business is upfront and honest with customers and stakeholders, but also with your internal staff as well. Why has transparency become so important? Business transparency has risen to the top of many firms' agendas because of the shift in how we communicate these days. The rise in social media networking has created an arena where we are expected to reveal more details about our lives than in the past. This open and honest shift in communicating has put businesses under increasing pressure to do the same. Social media users take it as the norm for businesses to be transparent. How can a business become more transparent? So how does an organisation go about becoming more transparent? One of the biggest strategies an organisation can take is to make sure it retains an honest and open approach in its communications. That's not to say, it should dish out all of its trade secrets, which might undermine its competitive edge, but it shouldn't cover up any aspects that may later be revealed to be detrimental. Creating a pack of lies can cause an organisation scandal to break out, resulting in widespread damage. Instead, if you do something wrong or make a mistake, it's much better to admit it, and accept that you have made an error but are looking at ways to rectify it. Showing that you can learn from your mistakes, rather than dishing out punishment or burying the issue under the carpet, encourages a feeling that you care, whereas covering it up creates an environment of mistrust. If individuals are working in an open environment, where they feel they won't be punished for mistakes, they are more likely to respect that organisation themselves. They are less likely to take to their social media site and write defamatory comments about the organisation, which could cause a scandal to erupt. Customers shouldn't be duped into believing information about your company that isn't real, because the damage that could ensue if this is revealed could bring a firm to its knees. For instance, making up fake feedback or testimonials that give you a glowing record shouldn't be necessary if you are doing things right in the first place. Never make up false PR stunts because these could also backfire if the truth comes out. With social media what it is today, it's important for all companies to stay on top of what is being about them. Responding in a timely fashion could be the difference between quickly resolving a negative issue, and showing your excellent customer service skills, and angering an already unhappy customer into doing something more extreme and making their complaint even more public. Ultimately, the easiest way to be transparent is to be yourself. Stick to what you know and what you're good at and you can't really go wrong. And of course, always be honest. About The Author: This article was written by Amy Elliott; a writer with an interest in business and management, she occasionally writes for Insignia, specialists in crisis communications and crisis management planning. Did you like this article? Please let Amy and myself know by leaving us your valued comments. Until my next post on Monday on how to set a budget for your business PPC campaign, have a wonderful and fun-filled weekend! A web browser toolbar is of immense assistance for individuals who regularly make use of the internet to gather information. These toolbars help in cutting down your surfing time considerably thus leaving you with more time to do what you want to do with the gathered information. One of the many effective toolbar includes the Alexa toolbar. The amount and diversity of data that can be picked using the Alexa toolbar about a webpage is truly marvelous! Alexa provides us two of the most essential toolbar info i.e. Traffic Rankings and Related Links, which are basically totaled results of what the Alexa toolbar users do while browsing the internet. All the top entrepreneurs are in support of this toolbar and are making proper use of it. The information provided by this toolbar can be used not only to check your website's ranking but also to enhance it. At the end, the main aim of any company's website is to generate revenue. All those companies present on the internet are looking for either selling their website to generate maximum revenue for it or augmenting their website's profit by selling advertisements on it. If you are looking to do the same, then you need to be aware about Alexa toolbar and its rankings. Alexa rankings are the most popularly used statistical application that evaluates a website's online popularity and traffic ratings. Unlike PageRank (by Google), that merely assesses particular pages of a website, Alexa rankings apply to the whole website! Alexa toolbar tracks how people use the internet and turns this information into ranking statistics for the website. It generates a statistical measure of your monthly unique visitors. The site ranked as number 1 has generated the most traffic. This information on the amount of traffic generated by your website helps you in determining the effectiveness of your marketing campaign. It also tells you how your competitors are doing in the market and lastly, it helps you determine ways for enhancing your reach and visibility in the web world. 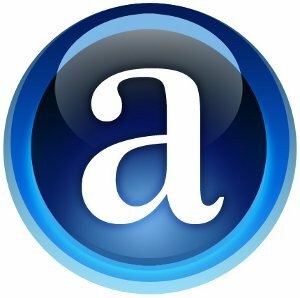 Other useful information that can be gained from the Alexa toolbar is the URLs or links to a number of sites that are similar to the websites being looked at, at the moment. You may be wondering how that is helpful. For instance, if you are searching for information on reptiles, you start by searching the term on a search engine such as Google. As a result, you get a list of URL's that match the keyword entered. As you click on one of the many URL's from the listing and surf through the associated website that deals on the topic of your interest, you will instantaneously be presented with links on the Alexa toolbar of comparable other websites. If at any point you feel that your present website or webpage is not up to the mark or if you feel the need to explore your options, all you have to do is merely select the link of a similar other site displayed on the toolbar. Other beneficial features that are accompanied by Alexa include toolbars that help block pop-ups, ability to calculate the "reach" of your site per million toolbar operators, info on which others sites are linked to your own, search in numerous platforms such as Google, dictionary, news etc., email a webpage to someone, be instantly transferred to Amazon.com for online shopping etc. In conclusion, Alexa is an effective instrument for that is used for determining a site's rank or spot in the web world. It is remarkable to note that Google itself makes use of information provided by Alexa to rank and index websites. Whether you want to use it for daily surfing or as part of your business, all you need to do is simply install Alexa in your preferred web browser. About The Author: Patrick Simpson is a reputed web designer and content writer at a leading web marketing at http://www.spott-one.com. Patrick is also proficient in dealing with complicated subjects on search engine marketing, those that mostly relate to current topics and has recently taken up blogging. For those who are aspiring to pick a career in this field should definitely follow his blog! Did you like this article? Please let Patrick and myself know by leaving us your valued comments. Until my next post on Friday on the importance of business transparency, enjoy the rest of the week! The Internet has indeed given such power to consumers that "going social" has become a requirement for businesses. This has made blogging an essential part of any business' marketing strategy, as it allows you to reach a targeted audience and establish your expertise in the industry. Finding the right bloggers to reach out to often requires considerable time and effort, so you'll have to be very patient. The best way to start is to do some research on Technorati or on Google Blog Search. Draw up a short list from your research and then check out each blog on your list. Read a number of posts on each blog (along with the comments under each post) so you'll get a feel of its influence and relevance. At the end of your research, you should have a final list of bloggers who have the most relevance to your business and influence on your target market. Please note that blogging and blogger outreach are all about the relationships you build. Therefore, you should take the time to get to know your chosen bloggers before you actually approach them with your proposal. Familiarize their "About" page, engage with them on the comments section of their blog, and try to gauge if they're open to PR approaches. Once you've successfully engaged in productive conversation with your chosen bloggers and determined that they are indeed open to PR approaches, you can make your approach. The key to approaching a blogger is to be transparent and up-front with your proposal. A personalized approach is also preferable, particularly one wherein you show familiarity with their blog by referring to recent posts. More importantly, you should emphasize that the blogger isn't under any obligation to give a positive review of your business. Assure them that your intention is to get an honest review from them. 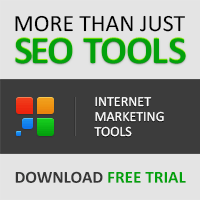 This SEO toolbar is available for both Firefox and Chrome. It provides you with a number of helpful metrics such as Page Authority and Domain Authority. It also boasts of other features like Back Tweets, no-follow highlighting, and links to such sites as Quantcast, Compete, and Alexa. As mentioned above, the first step you need to take is draw up a list of blogs you'd want your business to be featured on. MozBar can be very helpful in this respect, as it allows you to get a SERP overlay of Page Authority and Domain Authority. This, in turn, allows you to quickly check the quality of each blog. This tool allows you to automatically filter through a blog site to locate pertinent information. It also allows you to identify the sites that currently link to your company website. This will definitely be very useful if you're doing blogger outreach from a PR-based or link-building perspective. The fact that it allows you to set up email templates also makes the tool extremely valuable in terms of productivity. When you send out emails on the BuzzStream interface, you'll be given a full history of the interaction you've had so far with the party you're sending the email to. Any note you may have added will also be shown. Perhaps the best news about this tool is that it is continually being developed and improved. This is a new tool and is, in fact, still in beta form. However, it has already proven valuable to a good number of businesses. One of its biggest advantages is an excellent interface, which you seldom see in such tools, along with the ease of use. You simply need to click on "Add Delivery Job" and then provide three keywords, and the tool will search for relevant blogs for you. You may then add selected blogs to your main list and the tool provides access to information such as audience size, posts per week, and engagement. It even allows you to scan for social accounts, which definitely makes it a lot easier to determine which bloggers you should reach out to. This tool is definitely worth watching out for. It may be a good idea to use known influencers and authorities in your industry as a starting point for blogger outreach. This is where this particular tool can assist you. It allows you to easily identify the influencers and authorities in your industry. Using keywords, you can track, compare, and analyze a blog's followers to see if the blogger qualifies as an influencer and/or industry authority. You may think this tool doesn't really have much to offer in terms of blogger outreach, but that's not necessarily true. Remember that blogger outreach relies heavily on your ability to identify the right blog sites - this is where SEM Rush can help you. This tool can easily identify blog sites that recently took a hit from an algorithm update and therefore don't have much traffic. Such sites won't give you any significant return on your blogger outreach investment, so it's best to avoid them. Bear in mind that the tools discussed above are just some of those you can take advantage of for now. You can expect new tools to pop up at any time and some of the tools discussed here may no longer be ideal a few years from now. At present, though, these may be the best tools for you to use owing to their straightforward nature and the fact that they help you maximize results. Investing in them will certainly save you a significant amount of time, effort, and stress! Did you find this article helpful? 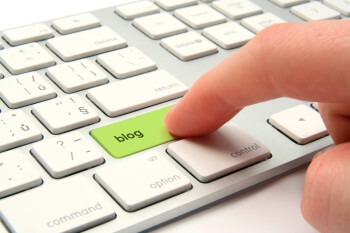 Do you engage in blogger outreach as part of your marketing strategy? Please let Emma and myself know by leaving us your valued comments. Until my next post on Wednesday on why the Alexa toolbar is such an effective business tool, have a great and productive week ahead!